ClubVPS Review 2019: Is ClubVPS a Good Hosting? 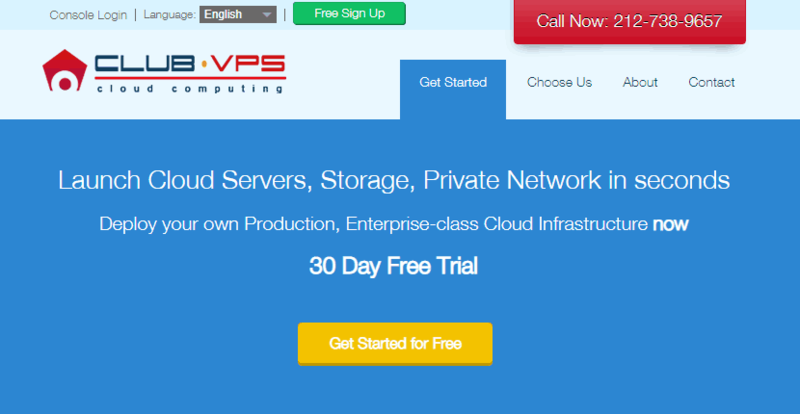 ClubVPS is a one-stop shop for customers who are looking for Infrastructure as a Service (IaaS) and secure disk storage for their website, enterprise apps, and other media. With world-class computing infrastructure and high-level support, ClubVPS serves tens of thousands of customers worldwide. Founded in 1999, ClubVPS is a reliable hosting company that provides cloud infrastructure services and virtual private cloud hosting in addition to flexible cloud storage plans. The company has 12 localized data centers in Europe, North America, Asia, and the Middle East. ClubVPS’s website is available in both English and Hebrew. ClubVPS is a hosting service that caters to medium and large enterprises that require dedicated resources and fast networks for their enterprise apps and smart solutions. They back all their hardware, servers, firewalls, storage arrays, and CPUs with SLAs. Starting with performance, ClubVPS is way ahead of the pack. They use the latest Intel Xeon processors running E5 2600 v2 series with a network speed of 10 Gbit/sec. With SSD storage arranged in a RAID disk array configuration, ClubVPS allows you to run production apps such as Oracle, Exchange, SQL, and any enterprise software with a high I/O consumption rate. What I like about ClubVPS is that they offer resources customized to each user, not pre-configured packages. You get to choose the exact configuration (RAM, CPUs, storage) that works best for your business. Whether you want reliable hardware or the best network configuration for your machines, ClubVPS gives you good customization options. I have no doubt you’ll join the long list of customers who’re pretty happy with their cloud computing services. For a reasonable fee, you can also order their cloud load balancer and managed cloud services. I recommend this if you’re a startup with little to no knowledge of designing, building, and maintaining a cloud infrastructure. Their cloud and network engineers will help you set up and configure your server in any of their 12 data centers worldwide. ClubVPS gives you a simple management console that allows you to manage your web space effectively. Setup is fast and smooth. Starting with a small server, you can scale up or clone servers to meet the resource needs of your growing business. Unlike some VPS providers that use outdated machines and software, ClubVPS constantly reviews and upgrades their technology and servers to ensure customers enjoy better performance and stability when running their apps or websites. A quick look at their plans and you’ll realize that ClubVPS focuses on higher-end customers who want more storage, higher RAM, and a significant number of CPU cores. This means they may not be a good choice if you’re looking for low-level plans or shared hosting packages. That said, they do have a clear and simple pricing model meaning you’ll only pay for the exact resources that you configure. Using their pricing calculator, you can easily get the cost of hiring their servers at an hourly or monthly rate. Simply select the number of processors, RAM, SSD storage, bandwidth, OS, and public IPs that you need, and then indicate the location of your preferred data center. They don’t charge any setup fees or slap customers with overuse fees. If you really want to get a feel of their enterprise-class cloud infrastructure, I encourage you to sign up for a risk-free 30 day free trial. You’ll get a chance to order and deploy servers in private networks within seconds. ClubVPS has a friendly support team that’s always eager and ready to solve your billing, service, and hosting problems. I like the fact that they provide round-the-clock technical support as well as local sales and account management support channels in different timezones. You can shoot them an email, open a ticket, or send a message to their customer service agents via the contact form on their website. In addition, they provide 24/7 telephone support to customers in North America, Europe, Asia, and the Middle East. ClubVPS is a good choice for anyone who’s looking for solid cloud hosting solutions for their resource-intensive apps or websites. Their localized round-the-clock support for customers worldwide is a notch above the industry standard. Wondering how ClubVPS stacks up against other Web Hosting companies? Enter any other Web Hosting company and we will give you a side-by-side comparison.